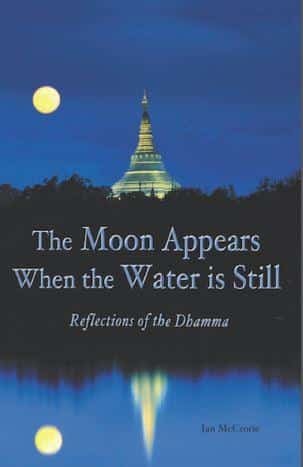 The Moon Appears When the Water is Still – Reflections of the Dhamma by Ian McCrorie. In Dhamma teachings, stories, anecdote, and aphorisms, poems are often used. During more than twenty years of intensive meditation in monasteries, ashrams and retreat centers in India, Southeast Asia, Japan and North America Ian McCrorie have collected a number of these metaphors and published them in this free ebook.